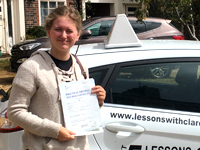 Such an amazing instructor who made me pass my test first time. 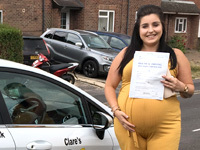 Such an amazing instructor who goes out of her way to help, Genuinely an amazing person who I got in with from the beginning, if you are looking for a driving instructor I'd hundred percent recommend Clare! 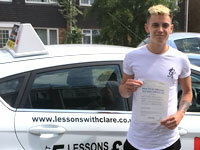 I passed a lot sooner than I thought I would have and could not recommend Clare enough. 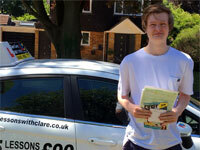 Will genuinely be missing my lessons with her! 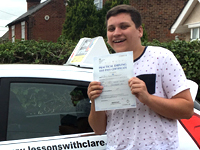 � thanks for the first time pass!!! 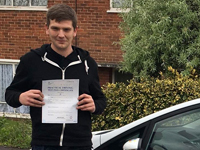 Amazing drive and FIRST TIME PASS for Matt in Maybush Southampton, an absolute pleasure to teach and thank you for your kind words. 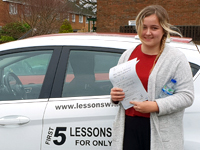 “Just wanna say a massive thank you Clare honestly would not of been able to pass with out you and your help, it was amazing you had confidence in me from the first lesson and that helped a lot your guidance, tips and your teaching was amazing, Again a massive thank you." 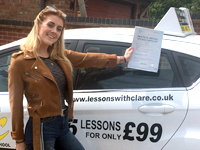 Clare built my confidence up so much and helped me to smash it in my test!! (not literally). 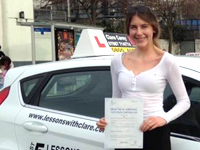 Clare was such an amazing instructor, so calm, understanding and thinks of everything. 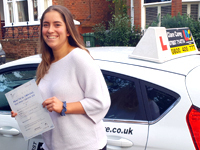 So happy to have had this lovely lady to help me pass!